Pannell Discussions » 2008 » Ideas in economics, environment, policy and more. The Business Plan for the new national environmental program, released November 28, is a substantial improvement on equivalent documents for past programs. Although there are areas that could be improved, the new Australian Government does appear to be taking seriously the cost-effective pursuit of environmental outcomes, rather than just activity. It will still be difficult to deliver this, but the Plan is a good start. Large parts of the program align very well with our INFFER framework for planning and prioritising environmental investments. There are, of course, positives and negatives in the Caring for our Country Business Plan, but for the first time since the Australian Government became active in national policy for natural resource management in around 1990, there is a sense that the Government is serious about achieving environmental outcomes. There was no sense of that in documents for the previous programs: the National Strategic Plan of the Natural Heritage Trust, or “Our Vital Resources“, the nearest equivalent documents for the National Action Plan for Salinity and Water Quality. The latter, in particular, was just dreadful. In the new document, there appears to be a willingness to take reasonably seriously the need to target resources to the highest priority areas, rather than attempting to fund too many projects at inadequate levels. With a fixed budget for the program, picking winners implicitly involves picking losers too: accepting that there are things you will not try to do. If you try to do to much, you will actually achieve less, which is what we have observed in past programs. Picking investments that will actually be effective and cost-effective is not easy. It requires a detailed integrated assessment, drawing together technical, economic and social consideration. The list of assessment criteria that will be applied to the selection of specific projects (pages 38 and 39 of the Business Plan) provides a good basis for prioritisation of investment. It includes key criteria like technical feasibility, adoption, and use of best available science which were badly neglected in past programs. It will remain difficult to apply these criteria in practice. To help with this, I am hoping that the Australian Government will make use of INFFER as part of their process. The assessment criteria of the program line up very well with what we do in INFFER, as shown below. How is it dealt with in INFFER? Delivery mechanisms Policy mechanisms and policy interventions explicitly documented. Their selection is guided by the Public: Private Benefits Framework. Scale and degree of intervention proposed Proposed specific on-ground works documented. Likely degree of adoption Assessed explicitly. Adoption by three potential target audiences is considered: landholders, partner organisations, and the general community (in the sense of political acceptability of the proposal). Alignment with national strategies Involves assessment of asset significance, which includes factors such as alignment with national strategies. Public benefit per dollar Considered using the Public: Private Benefits Framework and the Cost-Effectiveness Index. Value for money Assessed using the Cost-Effectiveness Index. Best available science and collective knowledge Required by INFFER as a whole. The science is integrated with other knowledge. Risk Captured and managed in various ways: knowledge gaps documented, probabilities of success specified, influential factors driving cost-effectiveness can be identified, clear goals or targets identified for the project. Engagement with stakeholders and partners The full INFFER process includes community consultation about about asset identification and valuation. Additional aspects would be drawn out in the project proposal, separately from INFFER. Capacity of proponent and partnership Is implicit throughout the INFFER Project Assessment Form, and in the assessed cost effectiveness of the project. Potential to raise community awareness INFFER is focused on assets, rather than on general community awareness, although awareness raising and capacity building can be specified as delivery mechanisms, if they are judged to contribute sufficiently to outcomes. Weaknesses I see in the new Business Plan include the following. (a) I suspect that the budgets allocated to some of the specific elements are too small. For example, the stated “five year outcomes” for the Great Barrier Reef are not outlandish, but even so I wonder whether the budget of $200 million over the life of the program will be sufficient to achieve them. Are they based on the “best available science”? If proponents of projects do bring together the best available science (and economics), they may put up proposals that indicate that more modest target outcomes are realistic. Hopefully there will be an opportunity to revise the program’s targets (or budgets) as the best available information is brought to bear (in the spirit of adaptive management). (b) Point (a) partly reflects the fact that the full set of assessment criteria were not used to select the target “outcomes” of the program. Given the unreasonably tight timelines imposed on the departments by their ministers, it was impossible to do so. To avoid this problem in future, the departments need to rework their analyses and targets on an ongoing basis, well in advance of future program decisions. This type of analysis should be a core part of the program. (c) The section on “Improving Land Management” is the weakest of the main components. To be fair, it includes attempts to target effort. The focus has been narrowed to a few specific land degradation issues (soil erosion, soil acidity and soil carbon) and for each of these there are maps showing areas where these issues are priorities. There is no indication of how these priority areas were chosen, and some of my colleagues who are experts on these issues have been scratching their heads about some of the choices. (A stand-out is the choice of the Perth region as a national priority for increasing soil organic carbon!) It is disappointing that there doesn’t seem to be any requirement for investments in soil erosion and acidity to be targeted to locations where they will generate the greatest benefits for non-agricultural assets (although there is a slight hint that this would be smiled on). Making that a clear requirement would have been a way to increase the public benefits and the cost-effectiveness of the investments, consistent with the program’s stated assessment criteria. Finally, the policy mechanisms flagged in this section of the Business Plan do not seem to be well considered. They emphasise the sorts of delivery mechanisms that were relied on rather naively in the previous programs: “extension and capacity building initiatives such as demonstrations and workshops, the development of codes of practice, or similar guidelines.” For these sorts of activities to be effective in promoting adoption on a large scale, the practices being advocated need to be highly attractive to landholders, but not yet adopted by them. For this to be true, the practices would need to be new and previously unknown to the landholders, or else circumstances would have to have changed substantially since farmers became aware of the practices and initially decided not to adopt them. The former is clearly not relevant to the practices that the program is trying to promote, at least not for most farmers. The latter might become partly true for soil carbon (depending what happens with national climate change policy) but not for the other two. Overall, I’m pretty pessimistic about the outlook for this part of the program, unless it is modified. There will be a national symposium in Melbourne on 14 November 2008 on the topic “Understanding Practice Change by Farmers”. Back in PD#125 I mentioned that a group of us was contemplating running a national workshop to celebrate the success of our paper on adoption of conservation practices by rural landholders (Pannell et al., 2006), which had just become the most downloaded paper of the Australian Journal of Experimental Agriculture. This idea now will become a reality, with a national symposium in Melbourne on 14 November. Already the interest in the symposium has been remarkable. We were hoping to get 200 delegates, but with minimal publicity we had 200 registrations within five days of announcing the event. We’ve now changed the venue to accommodate an audience of up to 400, but even that looks likely to be booked out. So if you wish to register, don’t take your time about it or you may miss out. (c) highlight implications of all this for organisations and individuals who engage with rural landholders. The event will encompass rural landholders generally, not just farmers, which is important given the changes occurring in some regions. Dr Neil Barr (Department of Primary Industries Victoria). Neil is a social psychologist by training with a longstanding research interest in the adoption of farm innovations and the demographic, psychological and social aspects of adoption. Professor Allan Curtis (Charles Sturt University). Allan researches watershed organisations, the policy and institutional arrangements supporting catchment management, and the evaluation of NRM programs. Dr Geoff Kaine (Department of Primary Industries Victoria). Geoff has expertise in adoption of new technologies and practices by primary producers and market based instruments in natural resource policy. Current projects include policy choices for climate change. Dr Rick Llewellyn (CSIRO Sustainable Ecosystems). Rick’s research focuses on adoption of various farming practices, the role of farmer-led groups in the research and extension network, and a variety of farming systems issues. Dr Graham Marshall (University of New England). Graham’s current work focuses on the economics of community-based environmental programs reliant on farmer’s voluntary adoption of conservation practices. Professor David Pannell (University of Western Australia). David is a Professor in Agricultural and Resource Economics, ARC Federation Fellow, and Director of the Centre for Environmental Economics and Policy. He has researched rural practice change from a number of perspectives. Professor Frank Vanclay (University of Tasmania). Frank is a Professor of rural sociology and leader of the Rural Social Research Group in the Tasmanian Institute of Agricultural Research, with a long track record of research on rural practice change and related issues. Roger Wilkinson (Department of Primary Industries Victoria). 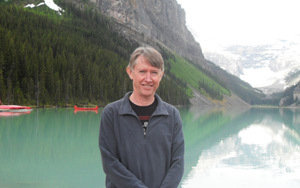 Roger has worked as a rural sociologist and extension researcher in Australia and New Zealand and is currently senior social researcher in the Victorian Department of Primary Industries. The event will be facilitated by Andrew Campbell (Triple Helix Consulting Managing Director). (a) All talks will be recorded and made available as podcasts on the event web site, together with copies of PowerPoint presentations. (b) Briefer video interviews with speakers will be recorded and placed on YouTube, with links from the event web site. (c) Written papers for each talk will be published as a book. See the event web site at http://www.futurefarmcrc.com.au/workshops.html for a flier, a program, and details of how to register.